We’ve got the scoop on some new cupcakes in Disney World! 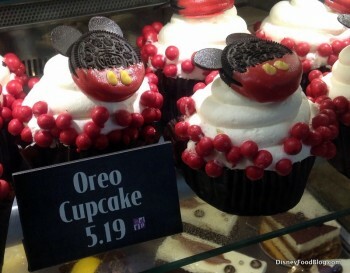 The BoardWalk Bakery is one of our favorite sweet spots, and the revamped Strawberry and Oreo cupcakes are a fun addition to the mix. There’s also a new Halloween cupcake that’s worth a peek. Find out What’s New around Walt Disney World! You’ll love the Epcot Food and Wine Festival updates, Halloween Merchandise, Pumpkin Flavored Treats, and more updates from around the parks and resorts!! See our review of the new Epcot Food and Wine Festival Premium Package and Late Nights LIVE! events. Take a look at pictures and reviews of the Brazil and Puerto Rico Marketplace Booths at the Epcot Food and Wine Festival. We have a first look at a brand new Disney Dooney & Bourke Collection that celebrates the 2014 Epcot Food and Wine Festival! Check out Disney-themed Donuts at the Donut Bar near Disneyland! Some of our readers turn to Disney recipes when they are missing their favorite Disney foods. 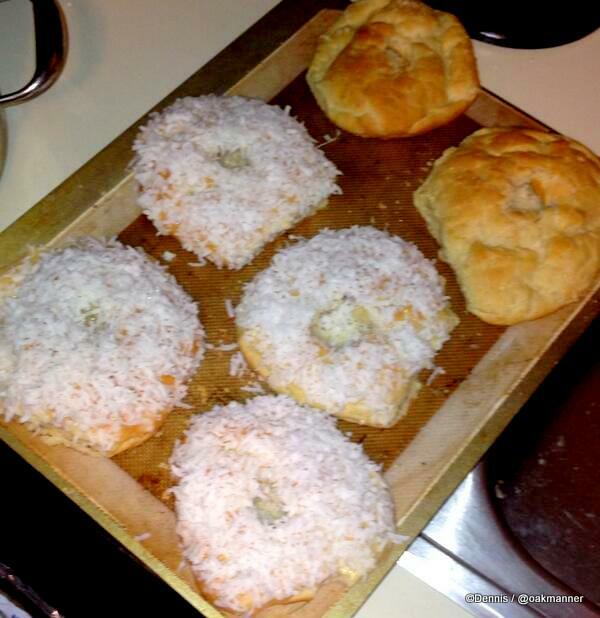 A great example is School Bread made by Facebook Friend Dennis. Nice production!! 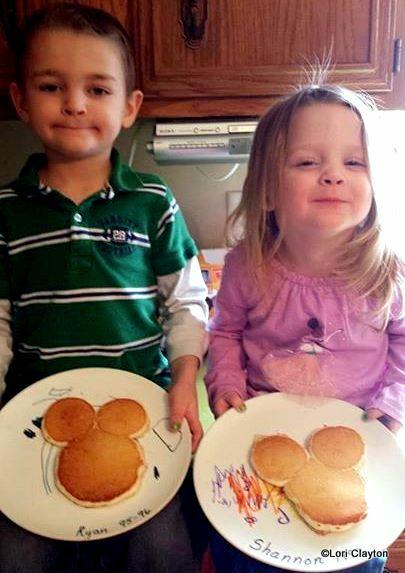 Start your morning with Mickey Mouse pancakes! DFB’s Facebook Friend Lori shared a fun homemade version. 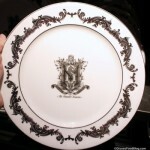 (I LOVE the plates, Ryan and Shannon! What’s your Favorite Find? Send it in! 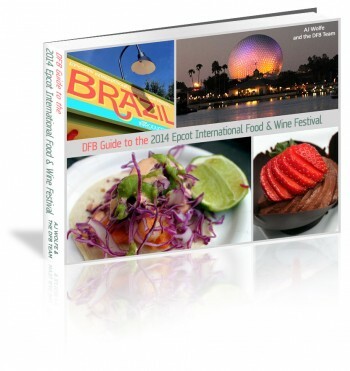 The DFB Guide to the 2014 Epcot Food & Wine Festival e-Book! Pick up your copy of the DFB Guide to the 2014 Epcot International Food & Wine Festival e-Book for $4 off today using code OPENINGDAY! As always, we’ve made this guide instantly downloadable for your convenience, and easily installed on your mobile devices. It’s a PDF guide with over 220 pages of detailed information about the Festival as well as photographs and customized bonus items to help you get the best experience possible. On a budget? Find out how to make those dollars (or Disney Dining Plan snack credits) stretch all around World Showcase. And we have a fully updated FAQ section that answers questions you didn’t even know you had! Use code OPENINGDAY for our biggest discount on the guide — $4 off! Make Your Own Grilled Pizza Cones! 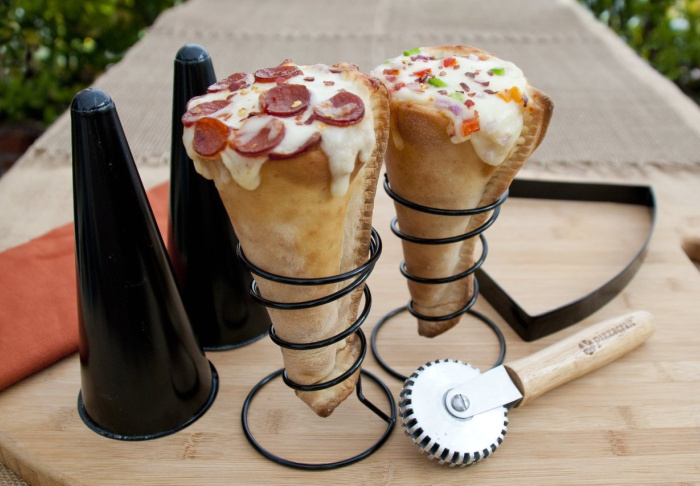 Mickey Fix showcases tools to make Grilled Pizza Cones. Have your own Cars Land party! DisZine highlights the Chase Cardholder VIP Lounge at Epcot’s Food and Wine Festival. Stop by to charge your phone! Main Street Gazette visits the Epcot Food and Wine Festival. Check out a list of Ryan’s favorite bites! AKL Resort reports on the culinary tours at the Animal Kingdom Lodge. WESH names 5 Must Try Beverages at the Epcot Food and Wine Festival! Orlando Business Journal discusses Gibsons Restaurant likely coming to Disney Springs at Walt Disney World. We can’t wait to get confirmation on this Chicago-based restaurant!